Transportation has been an integral part of the tourism industry; transportation links tourists with various tourist attractions. agreement that tourism expands more when there are better transportation systems. Touring in a car that is at your disposal gives you the best mobility you could ever ask for. You can change your travel plans even while you’re on the move. You can linger at a spot as long as you wish…and set off for another destination when you change your mind. All you need is a reliable car service that would give you the freedom to act according to your heart’s desire. 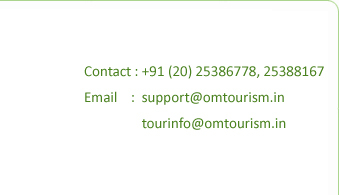 We are a premium travel agency in Pune for over 15 years and can offer a range of cars at the most competitive rates. Whether you’re on vacation or on business, you can choose the one you prefer from a small car to a sedan to a luxury car of your choice. For a larger group you can select anything from a 17 seater coach to a 50 seater bus. All these vehicles are available in AC and Non AC models. We assure you that it shall suit your purpose and provide optimum comfort. It is very well said that travel and tourism can be as good as technology allows it to be fast and efficient means of transport is very essential to link the various places. 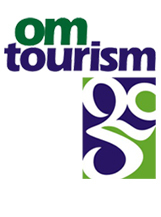 Tourism as an industry can only be developed in the time taken to cover the long distances is cut short to the minimum. In today’s industrial society, the time at the disposal of tourist is very limited. A leisure tourist may have only a few weeks while the business tourist can afford to spend only a few days. The customer like to maximize the returns of their spending by covering in their itinerary as many places as possible within the limited timeframe.